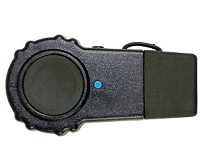 KENWOOD- BT-501 Bluetooth Adapter for Kenwood, Baofang, and similar 2-pin radios. Cable version has its own battery pack. Bluetooth Adapter (Dongle) fits all Kenwood two-pin radios and compatible Baofang models (such as UV-5R). 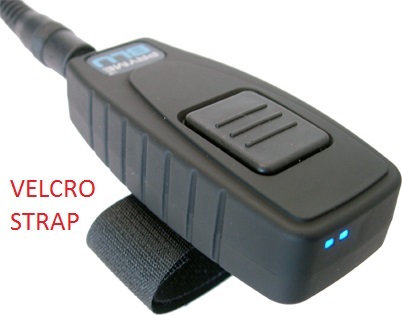 The CABLE Type BT-501 has an internal battery allowing it to work with all radios including those that do not supply power to the accessory jack. If your radio is one of the models that has power you can used the BT-501-DIRECT model which does not require any battery charging. Can be used with TWO PTT switches at same time! For example you can use the PTT built into either the BTH-300 or BTH-600 with our BT-BT-PTT2 AT THE SAME TIME! Normally you might use the wireless PTT built into the BTH-300 headset or BTH-600 Speaker Mic but you can also have the BT-PTT2 (wireless PTT switch) mounted on your handlebars or steering wheel. OPERATE HANDSFREE FOR SAFETY! 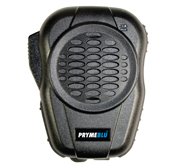 The PRYMEBLU® Adapter allows you to use a compatible wireless Bluetooth headset or other audio accessory with your two-way radio. The PRYMEBLU® Adapter is compatible with thousands of off the shelf consumer audio accessories and pairs easily, allowing you to operate wirelessly. 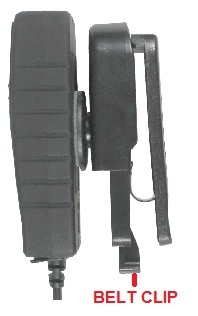 Available with Velcro strap or Quick release Belt-clip. 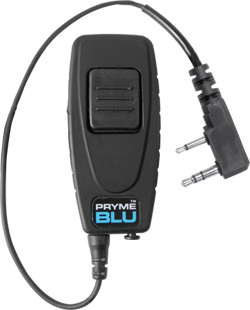 BT-PTT2 Wireless PTT Switch for all PRYMEBLU® Bluetooth adapters. Built-in USB charging. 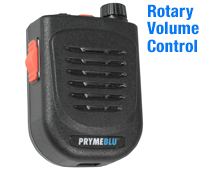 BTH-500 (for Radio) - Bluetooth speaker microphone with ROTARY volume control and built-in wireless PTT. Includes charger and charging cable. BTH-600 (for Radio) - HEAVY DUTY Bluetooth speaker microphone, remote speaker mic with built-in wireless PTT. Includes charger and charging cable. Bluetooth Ear Muff: Rugged Over-the-head headset with noise-cancelling boom mic and padded speaker. Includes USB charging cable and wall changer.